Social media is one of the hottest topics in marketing today. Everyone puts "social media expert "on their resumes just like people put "Web Designer" on their cards a generation ago simply because they knew how to use Pagemill. Dan Zarrella, however, is a true expert and does a great job of sharing his knowledge of social media marketing. Unlike other O'Reilly books, this is not a technical book at at, but rather targets a business market. No computer knowledge is necessary. The reader is given a complete overview of the landscape that is social media. Obvious examples like Facebook and Twitter are in here, but he also covers other web properties as well as blogging and how all integrate into a complete Social Media Marketing Campaign. Each chapter covers a small social media topic in order to make it easily digestible to a "newbie." The book is well organized and includes a great table of contents and index along with a review at the end so you have a "takeaway" of where to go from there. If you already use Facebook and Twitter and have created a blog, this book isn't targeted to you. The book is designed for the traditional marketing manager who has been dragging their feet on creating a fan page on Facebook. Also the CEO of the company or the Executive Director of a non-profit might want to read this if they refuse to create a marketing manager position. The book is a very quick read--so no excuses for the boss to say they don't have time to read this. No fancy tips or tricks...this is the 101 survey course. 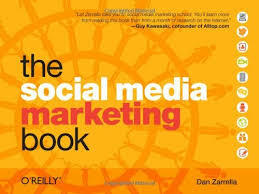 I do consider myself knowledgeable about Social Media so much of the book was an easy overview for me. Along the way I did gain a tip or two. If I had this book when I first started my Social Media Marketing Campaign I would have saved months of research and avoided many mistakes. If you've been reliably tweeting and updating your Facebook fan page, then you probably already understand the concepts in this book.